It's hard to believe July is almost over. I'm sitting here anxiously looking at the mammoth stack of books to read and articles to outline for my preliminary exams this fall. Somehow a few months ago it seemed doable and now it just seems ridiculous. So much for the idea of having a relaxing summer to study!! To give folks an update on what I've been up to – I'm now about halfway through my doctoral program. I've been really fortunate to be employed at the Center for Advanced Studies in Child Welfare at the University of Minnesota – (to see what I've been working on, click here). As part of this research assistant position, I am really focusing on the other end of child welfare from my usual position – the adoption side. Instead, I've been working on research that deals with the front end – child protection. I was able to go to Washington DC for a Children's Bureau grantee's meeting and meet with other states and jurisdictions doing similar work in improving child protection systems around the United States. It's really been deeply thought provoking for me and a much needed step away in some respects from adoption since for many years it felt I lived and breathed and worked adoption 24/7. I'm developing my dissertation research idea as well. The most difficult part is that I want to do it all – I have SO many questions that haven't been answered by research yet, and there are days I just wish several million dollars would drop in my lap so I could fund independent research projects! But since I'm just a mortal graduate student, I have to make do with trying to narrow down a few dozen ideas into just one project. To begin with, anyway! There are many days I wonder what to do with this blog. I am pulled in two different directions on this one. On the one hand, I feel I don't have anything to say anymore on this blog. Not that I don't think about adoption all the time, or have things to say about the books and articles and media stories – I do – but I just don't desire blogging about it any more. 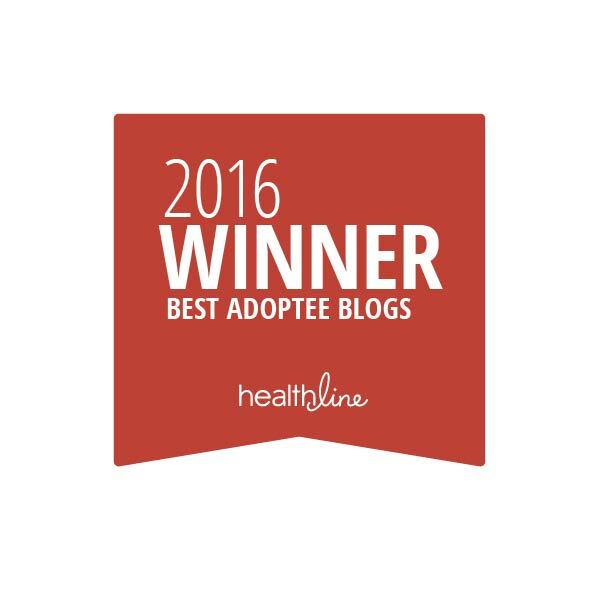 And there are lots of other adoptees who are blogging up a storm, and I read those blogs when I can, and I see that a lot of adoptive parents are reading them, and that is a wonderful thing. I also sometimes feel like sometimes blogs just have an expiration date. And maybe in some ways Harlow's Monkey is past its prime. Should I be stepping aside so others have the focus now? It's been a good run, and while I have learned a lot and most importantly, met a lot of awesome people through this adventure, it might be time to just slowly fade away. I knew it was time to think about ending the blog when instead of wanting to write a long post about some book I read or article I saw, I wrote out a title and then couldn't figure out how to write what I wanted to say. I'm typically not one of those folks who has a hard time blogging! I have a collection of a half-dozen "titles" with nothing of substance under them, and no desire to continue on. I can't imagine shutting down for good; rather I'm looking at this as a permanent, temporary "retreat" where, from time to time, I may dust out the cobwebs out and show up for a while. I've tried blog breaks before, and I have even secretly used those breaks to test out whether I was going to quit altogether. But I don't want this site to disappear. I want to keep the resources up, because I'm amazed at how often people tell me they appreciate the resources. And I also want to leave open the possibility that some day I might want to start up again. For the rest of the summer I'll be hard at work, and reading a ton, and trying to find some better family/work balance which has been nearly impossible the past 2 years. I’ve love reading your blog but totally understand. You’re on my reader so I’ll see you when I see you! Best of luck. Have a great summer. Best wishes on your research. i can’t tell you how much your blog means to me, as an adult korean adoptee. it was the first i saw, and i know many other adoptees who turned to you first as a starting point. thank you for what you have written. I only stumbled upon your blog this past year. I hope you enjoy whatever “break” you need to take for yourself (but it sounds like you’re just going in new directions!) but seriously hope you know how much this blog has affirmed me and helped me! Please keep it up so we can at least sift through the archives. Again, my gratitude! Your blog has been a great support to me (a White adoptive parent) and I have learned a TON from it and from all the links, connections…I am also finding the facebook posts and links really interesting. Thanks so much and best wishes with the studies, research, etc. I hope that you will continue to post about what you are doing now in graduate school. Hopefully preventing adoptions is even better than making them successful. If you can help families function better then there will be less need for adoptions and more kids will be able to stay with birth families! We would love to hear about what you are doing regarding your research project as you go along. You have completely changed the landscape of transracial adoption discourse as it takes place in homes, classrooms, on blogs, and in our minds. I can’t begin to realize how much so as far as my own thinking is concerned. It is a great gift to be able to realize when it is time to stop one incarnation of ourselves, and give way to another. Jae Ran, you’re the best. Thank you for your outstanding writing, the intelligent conversation you’ve hosted here, and for your dedication to children. As you turn your focus to new things, know that you have help a lot of people (myself very much included) understand adoption from the adopted person’s point of view better than we ever could have without you here. Thank you, too, for your dedication to the women of Korea and to their right to parent their children. Please do let everyone know what you’re up to from time to time. Hi, understand the need for a break of course.Your blog is so well thought of and references to it pop up all over the place as you probsbly know.Good wishes. I hear what you are saying. I feel the same re: race/racism/anti-racist education. I think about these issues daily, and, although there is plenty to say, and although I have plenty to say, I sometimes just don’t want to write about it. Great blog, and I hope you return. But yes I agree, if you don’t feel you have anything more to say, just give it a rest until you do. Darn it, I just FOUND you! Thanks for all the great material you’ve compiled – but more importantly for speaking from your heart in such a mature, bridge-building way. Have a good break! I’ve just found your blog and thank you for the insight. I didn’t know.